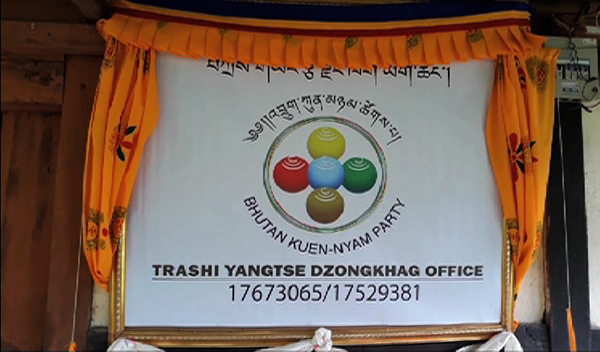 Bhutan Kuen-Nyam Party (BKP) opened its party office in Trashi Yangtse today. The party office will provide information to the people about the party and share their concerns. The party says the office is opened at Koncholing since it is closer to people of six Gewogs out of eight in the dzongkhag. The party now has its office in all the 20 dzongkhags.